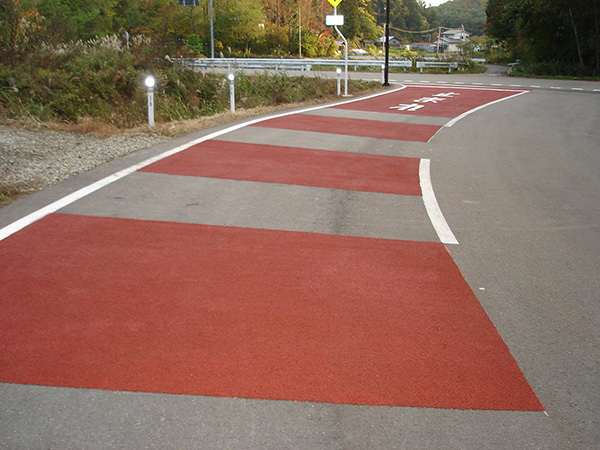 The COALCUT R construction method is resin-based anti-skid paving (Neat construction method, thin layer paving). 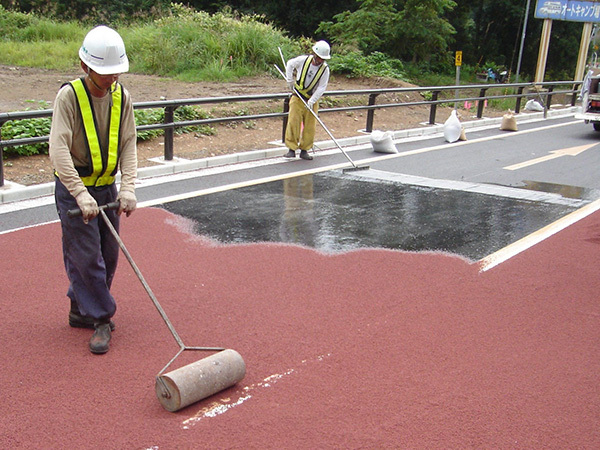 The skid resistance of a road surface is improved by sprinkling and fixing hard aggregates and ceramic aggregates on the surface after applying “COALCUT R” (resin-based bonding material) to the existing paving. 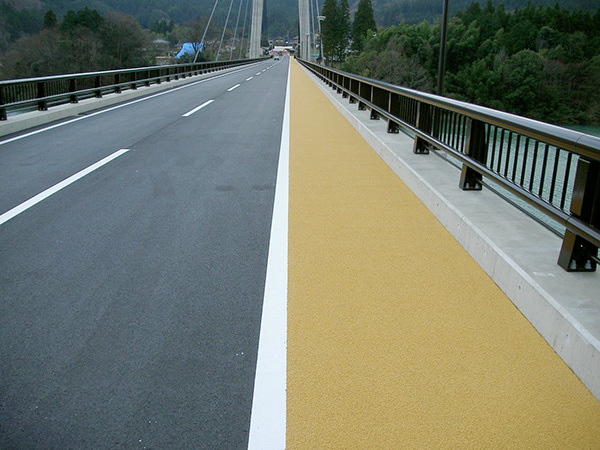 Because colored aggregate is used, the visibility is high, allowing it to be used for making drivers aware of bus lanes and intersections. A wide range of color variations are available.